J.J. Abrams has been confirmed as the new director of Star Wars: Episode IX. This was confirmed by Disney and Lucasfilm in a blog post today. He's replacing Jurassic World director Colin Trevorrow. "With The Force Awakens, J.J. delivered everything we could have possibly hoped for, and I am so excited that he is coming back to close out this trilogy," said Lucasfilm President Kathleen Kennedy. Abrams is the awesome director of the massive Star Wars: The Force Awakens film which restarted the Star Wars trilogy after 12 years. He's also the mastermind behind the Star Trek (2009) reboot and the sequel Star Trek: Into Darkness. He's taking over the directing and co-writing the film with Chris Terrio. Terrio is best known for his Academy Award winning script for Argo (2012). He also wrote Batman v Superman: Dawn of Justice (2016), so you can't win 'em all. According to sources Colin Trevorrow and Disney couldn't agree on the direction of the script and the two agreed to part ways on the production. It was reported that Jack Thorne was brought in to rewrite the script. Disney and Lucasfilm have been going through some very high profile directing problems lately. Ron Howard took over as director of the untitled Star Wars Han Solo stand-alone film. He replaced Phil Lord and Chris Miller over "creative differences". Rogue One (2016) was directed by Gareth Edwards, but Tony Gilroy had to step in and make some extensive reshoots. Josh Trank was fired from an untitled standalone Star Wars "anthology" film a few years ago. At first, it looked like Disney was planning to tap up-and-coming young directors for its films but the pendulum seems to be swinging in the other direction. They're replacing young directors with seasoned professionals used to the demands of high-profile films. While some have criticized Abrams for his approach to The Force Awakens as a "rip-off" he understood what was needed. "I knew that, whatever we did, there would be a group of people — and I was just hoping and praying that it would be smaller than not — that would take issue with any number of things," Abrams told The Hollywood Reporter, "But I knew we weren't making the movie for any other reason than we believed that it could be something meaningful and special and entertaining and worthy of people's time." Moviegoers responded and it's his highest-grossing film and the third highest-grossing film of all time. Frankly, I'm excited about the news and think it's going to make the series even better. He worked on the first film and will carry that vision through the end of the trilogy. Update: The release date of Star Wars: Episode IX has been moved to December 20, 2019. Scheduled release date of December 20, 2019. Check back with The Geek Twins for more Star Wars: Episode IX news! 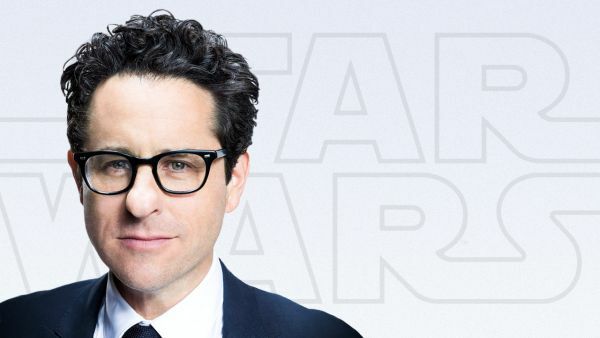 How do you feel about J.J. Abrams directing Star Wars Episode IX? And that is really awesome news! JJ Abrams is a smart movie director, fans won't be disappointed given the last Star Wars smash hit success. Well there will be a lot more lens flares at least.